Stephen H. Slater, a practicing attorney for almost 30 years, is of Counsel to The Law Office of David S. Klausner, PLLC. Mr. Slater graduated from SUNY Albany in 1983 and Union University Albany Law School in 1986. Mr. Slater is admitted to practice in New York and Connecticut, as well as in the Federal Courts for the Southern, Eastern and Northern Districts of New York, and all Federal Courts in the State of Connecticut. 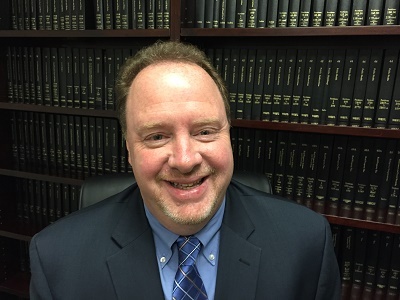 Mr. Slater’s practice has been exclusively in the field of civil litigation and he is a seasoned trial attorney. Throughout his career, he has served in both an in-house counsel capacity and as counsel within private firms. He has tried countless cases to verdict in numerous jurisdictions in the New York metro area, as well as upstate New York. Mr. Slater’s practice focuses on premises liability, automobile accidents, Labor Law, construction law, product liability, toxic torts, and general liability defense. Mr. Slater is a member of the New York State Bar Association, Westchester Bar Association, Rockland County Bar Association and New York State Trial Lawyers Association.